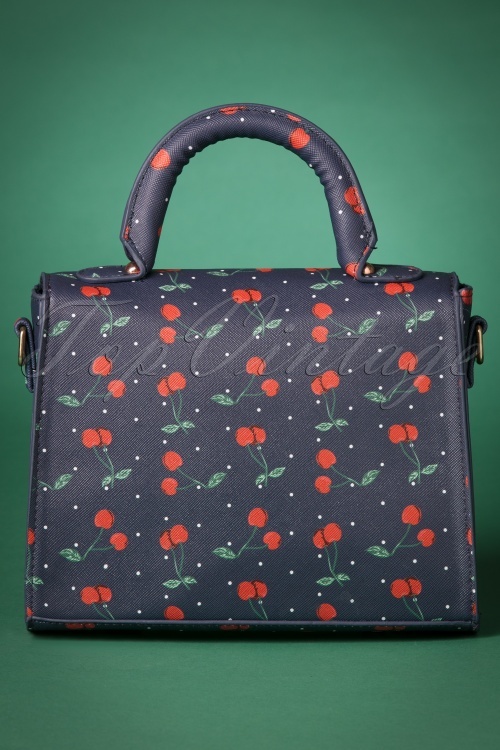 Take your daily dose of vitamines to go with this 50s Bessa Cherry Polka Handbag in Blue! 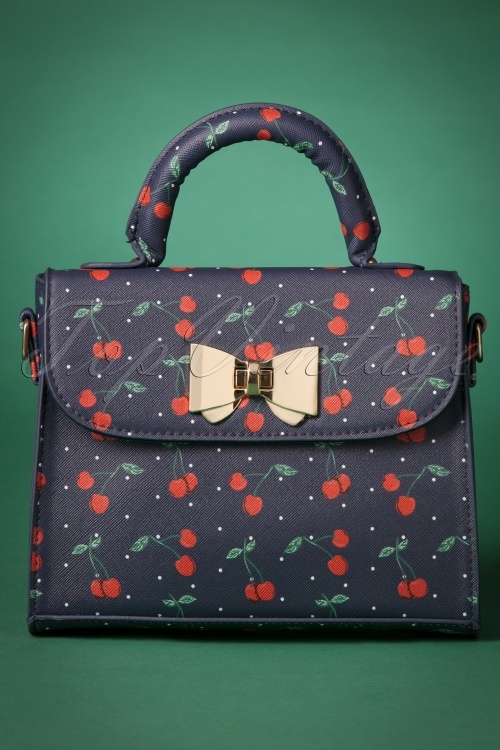 Retrolicious! 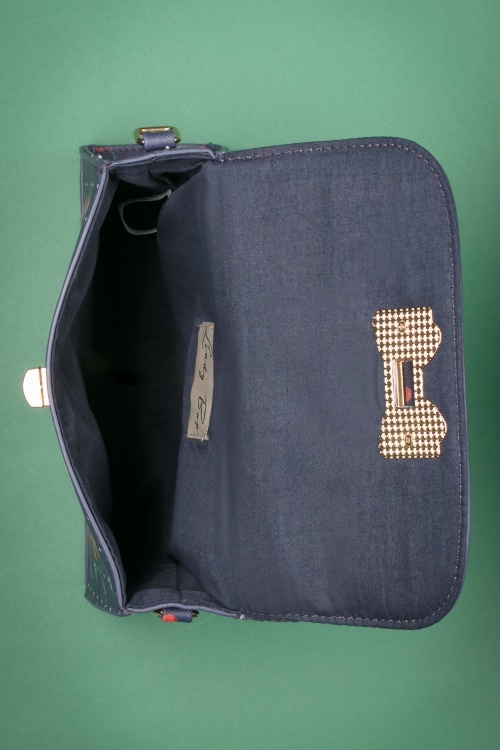 This small handbag is made from a sturdy material in dark blue, finished off with a gold toned turn lock closure in the shape of a classy bow. 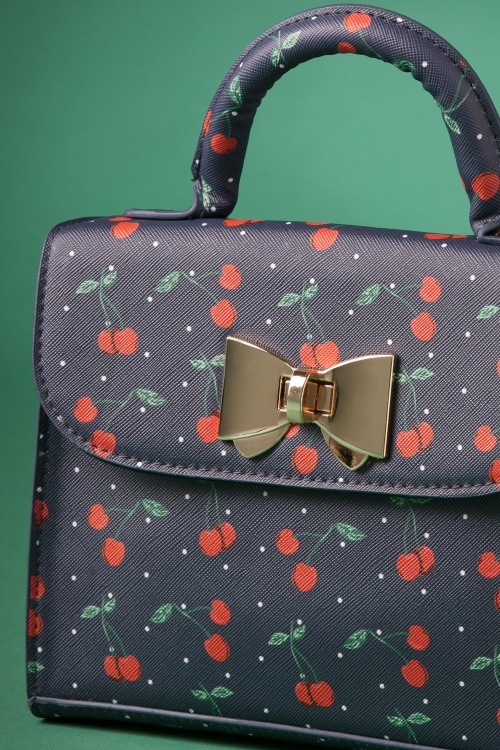 But the real eye catcher is definitely her fruity cherry print in red and green, surrounded by tiny white polkadots, so cute! 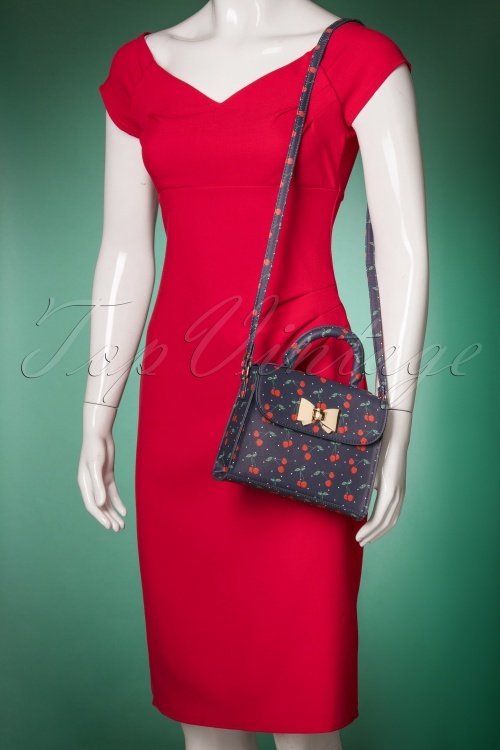 Carry her in your hand by the short handle, or use the longer, detachable handle and playfully wear her over your shoulder. 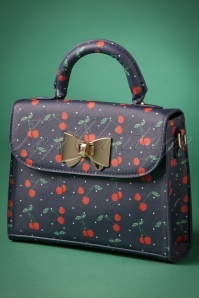 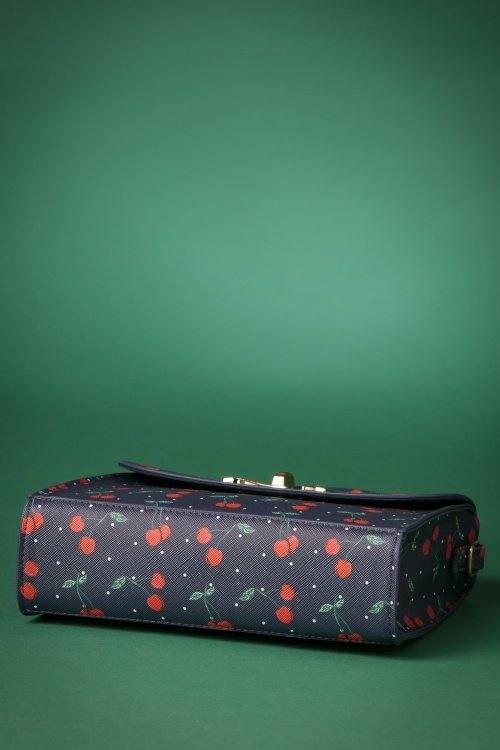 You can't say retro without cherries popping into your head, so complete your vintage look with this lovely handbag!